Hannah Arendt's work offers a powerful critical engagement with the cultural and philosophical crises of mid-twentieth-century Europe. Her idea of the banality of evil, made famous after her report on the trial of the Nazi war criminal, Adolf Eichmann, remains controversial to this day. In the face of 9/11 and the 'war on terror', Arendt's work on the politics of freedom and the rights of man in a democratic state are especially relevant. Her impassioned plea for the creation of a public sphere through free, critical thinking and dialogue provides a significant resource for contemporary thought. 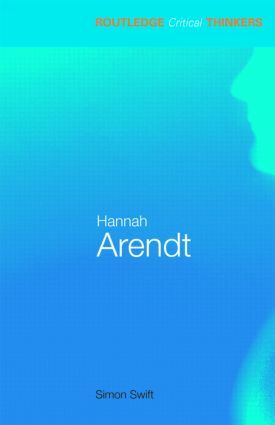 Covering her key ideas from The Origins of Totalitarianism and The Human Condition as well as some of her less well-known texts, and focussing in detail on Arendt's idea of storytelling, this guide brings Arendt's work into the twenty-first century while helping students to understand its urgent relevance for the contemporary world.